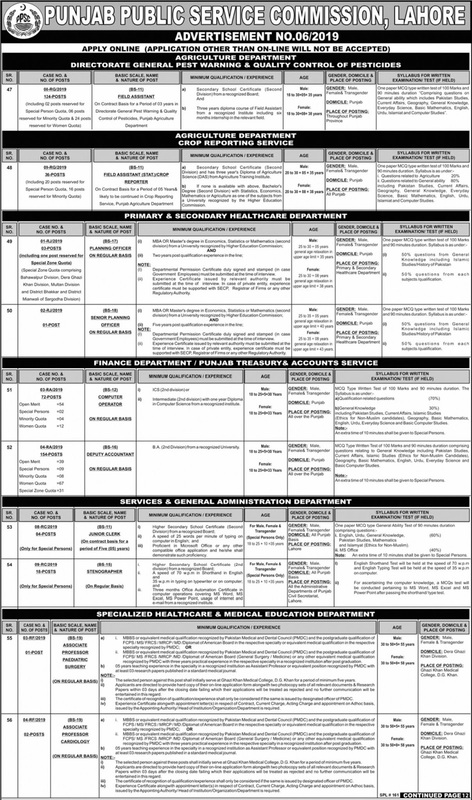 Punjab Public Service Commission (PPSC) Advertisement No 06-2019 2 is offered by the organization of accountantAssociate ProfessorClerkComputer OperatorField AssistantGovernment JobsJang Newspaper JobsLahore JobsProfessorPunjab Jobs. The Working hours for Punjab Public Service Commission (PPSC) Advertisement No 06-2019 2 is 8 hours a day and 40 hours a week. 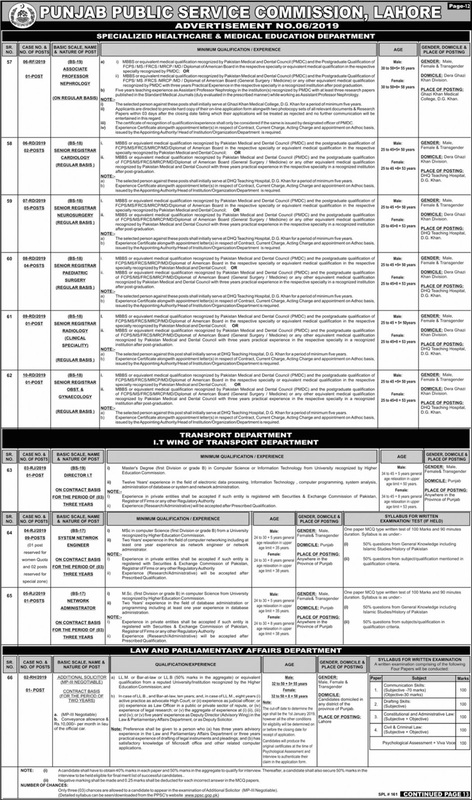 So, Punjab Public Service Commission (PPSC) Advertisement No 06-2019 2 is a fulltime job. 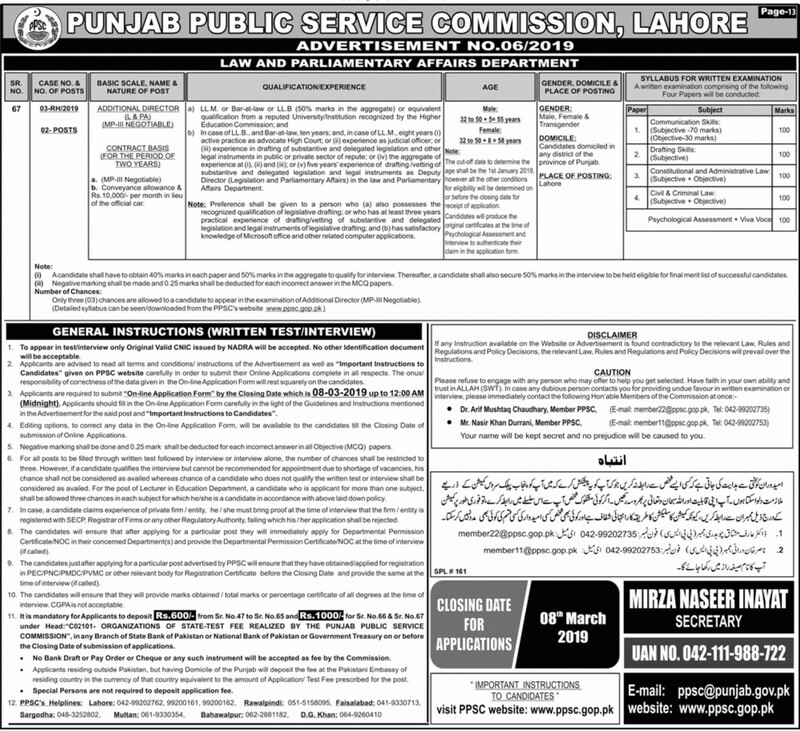 The advertisement of Punjab Public Service Commission (PPSC) Advertisement No 06-2019 2 contains complete information about job specifications, job description etc. which is published in Different Newspapers dated February 21, 2019.